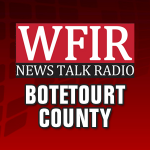 Botetourt County rescue crews were summoned to the Appalachian Trail late Friday afternoon to treat and remove an injured hiker. The Troutville Volunteer Fire Department’s Facebook page says several companies were called to the Lambert’s Meadow area where a hiker had fallen, suffering a wrist injury and possible concussion. Details on the hiker’s name and condition were not immediately released. Facebook post: Multiple agencies are working to extract an injured hiker from the Appalachian Trail. At approximately 1740 hrs, Troutville Fire, Medic 2, and the Botetourt County Special Operations Team were alerted to respond in the area of Lambert’s Meadow for a subject that had fallen; resulting in a wrist injury along with a possible concussion and vomiting. Crews from Troutville, Eagle Rock, Fincastle, Read Mountain and county paid staff are on location working to remove the patient. An off-road stokes basket, 2 side-by-side style RTVs, and 11 personnel are on the trail at the moment with additional resources in queue at the command post.